GRAHAM DAWE admitted quite a few players pushed their Plymouth Albion first-team claims in the club’s 64-27 win over Newton Abbot at Brickfields on Friday night. The match was Albion’s final one before they open their National One campaign against Richmond next Saturday. The likes of Herbie Stupple, Dan Collier, Cameron Setter, Marc Koteczky, Ethan Ford, Nile Dacres and Ed Holmes sat out the meeting against National Three South West side Newton Abbot, but other players took their chance to impress. Matt Shepherd and Tom Putt both enjoyed impressive first starts for the club, while trialist fly-half Elliot Bale continued his push for a permanent deal at Brickfields with a fine second half display after Billy Searle had done well in the first half. In the end Albion scored 10 tries on the night courtesy of Putt (2), Ollie Dawe, Shepherd, Rupert Freestone, George de Mendonca, Robin Wedlake, Seti Raumakita, Dan Pullinger and Bale. However, Dawe was disappointed with the three driving maul tries that Newton Abbot scored. “It was a great performance from the guys. There was lots of energy,” said Dawe. “But we were asked a lot of questions by Newton Abbot, which was great. Dawe was full of praise for the way Newton Abbot drove. “They were exceptionally good,” he said. Albion also conceded a number of drive tries against Jersey in their opening warm-up game and Dawe said: “It’s good that it’s been highlighted in pre-season. It’s been a major focus for the last two weeks and it will remain a focus. Dawe has been given further food for thought about his team selection for the Richmond game after Friday’s contest. He admitted a number of players put their hands up to feature in that league opener at Brickfields. “Very much so, but we knew that they would as they are on form, fit and raring to go,” said Dawe. The Albion boss was pleased with how his backs played against Newton Abbot. Teenager Putt, who only turned 18 last month, certainly took his chance to impress against Newton Abbot – the club where he is currently registered. Dawe said: “I think he’s very keen to play for Plymouth. 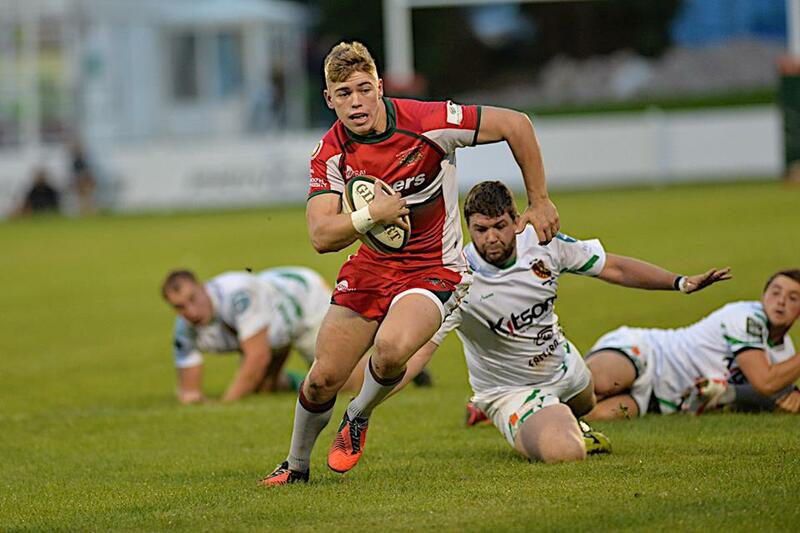 He had an opportunity to play for Newton Abbot on Friday, but he says he feels ready for the Plymouth Albion first team and we can’t disagree with that. The plan is Putt will play for Newton Abbot if Albion do not need him. Meanwhile, Dawe is hoping South African lock David Fisher will be available for selection against Richmond, despite having to go off just before half-time on Friday with a knee injury. “He twisted his knee, but hopefully has not done too much damage,” said Dawe.